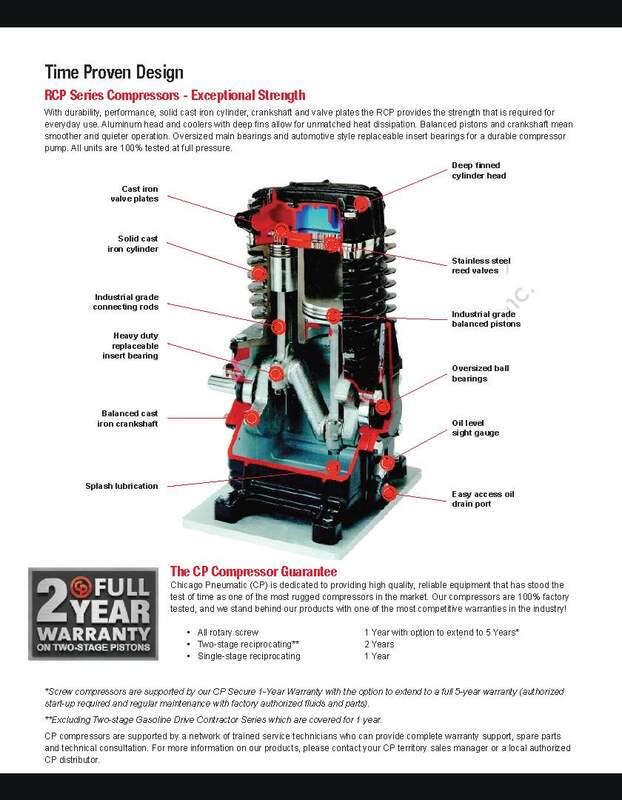 With durability, performance, solid cast iron cylinder, crankshaft and valve plates the RCP provides the strength that is required for everyday use. Aluminum head and coolers with deep fins allow for unmatched heat dissipation. Balanced pistons and crankshaft mean smoother and quieter operation. 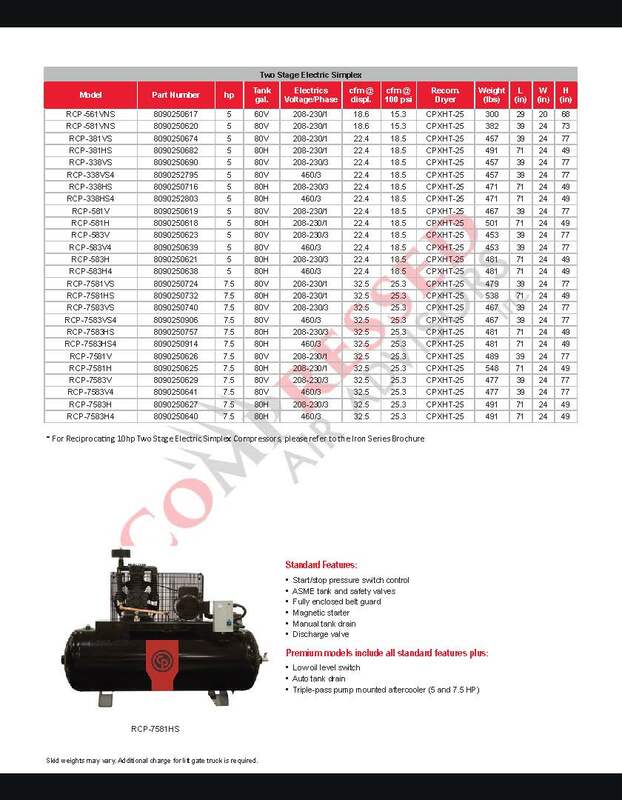 Oversized main bearings and automotive style replaceable insert bearings for a durable compressor pump. All units are 100% tested at full pressure. 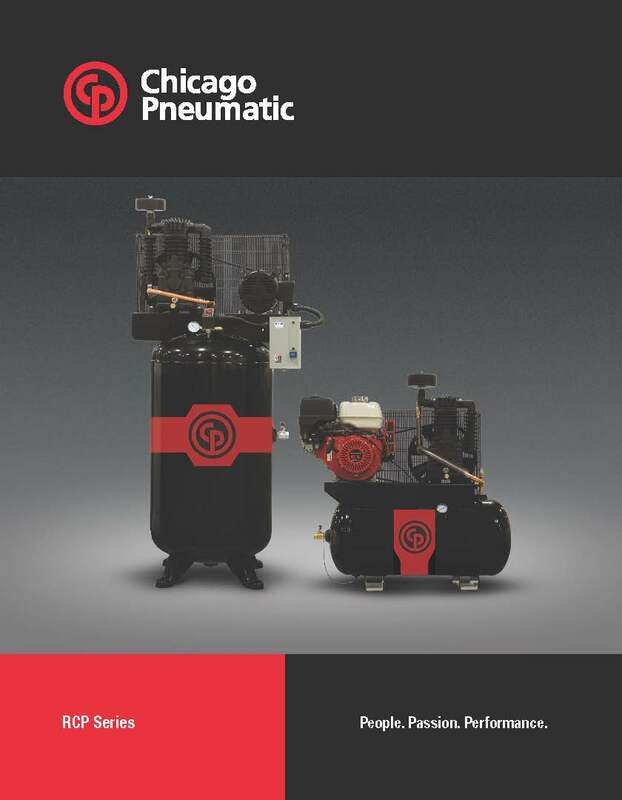 Chicago Pneumatic (CP) is dedicated to providing high quality, reliable equipment that has stood the test of time as one of the most rugged compressors in the market. 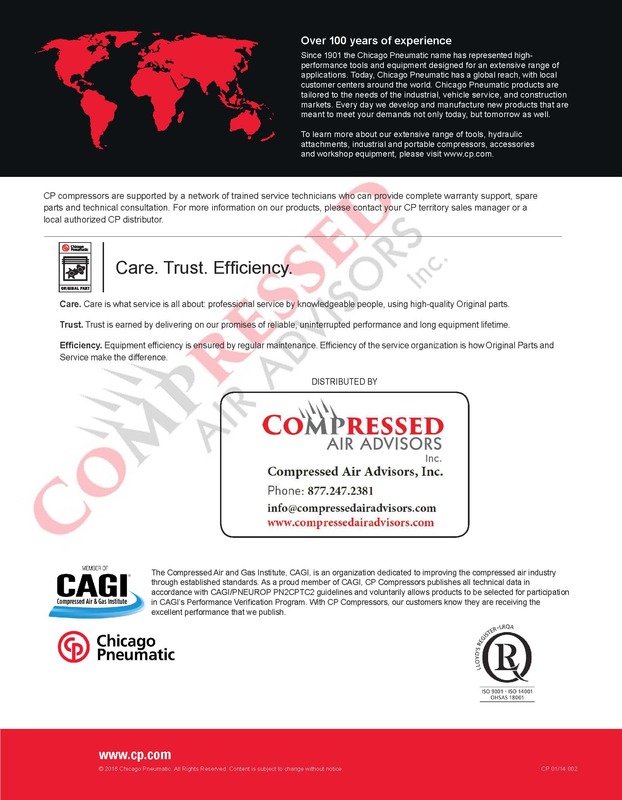 Our compressors are 100% factory tested, and we stand behind our products with one of the most competitive warranties in the industry! 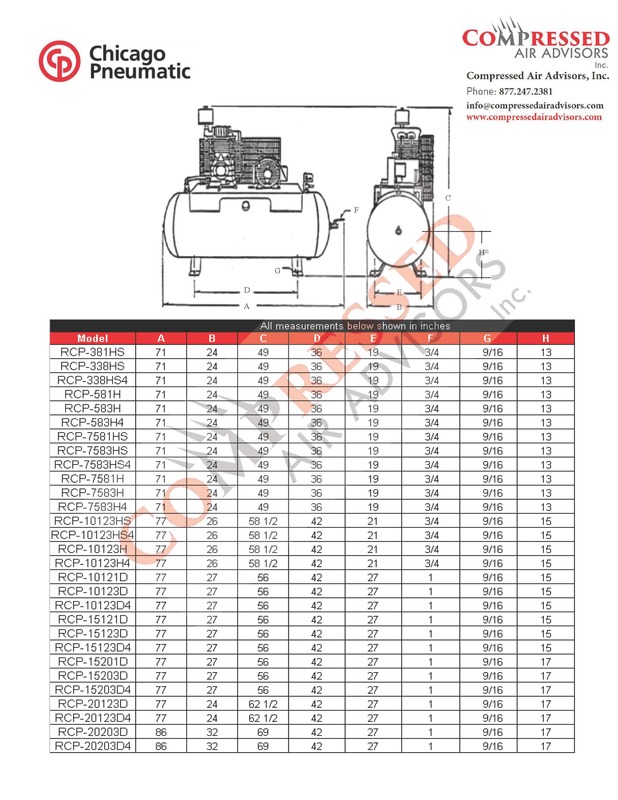 **Excluding Two-stage Gasoline Drive Contractor Series which are covered for 1 year.